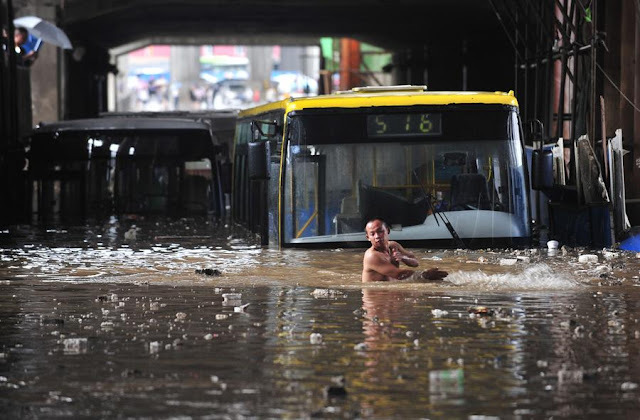 Authorities say that three days of heavy rain in southern China have left 50 people dead and 12 missing. The civil affairs department in central Hubei province said Sunday that torrential rains caused the deaths of 27 people and left 12 missing since Thursday. Nearly 400,000 people have been evacuated or are in need of aid in the province. In mountainous Guizhou province in the southwest, 23 people were confirmed dead after a landslide Friday. Rainstorms soak the southern part of China every year, but this rainy season has been particularly wet. The Yangtze River flood control headquarters has ordered local authorities to brace for severe floods. Rain and storms have wreaked havoc across south China since June 27.